Over the years, RM of Dufferin and Town of Carman residents have distinguished themselves in such diverse fields as politics, literature and sport. Here is a sampling of the many people from the past whom we are proud to include as part of our local heritage. He was the first person to settle in the Boyne area for agricultural purposes. He was the son of Richard Grant who was a fur trader with the North West Company and later Chief Factor with the Hudson's Bay Company. John was raised in Quebec, later joining his father in Idaho where he established a large cattle ranch. His home in Deer Lodge, Montana, is a historic site. W ½ 27-6-4w as a military grant and later purchased NE 30-6-4w. Grant opposed Louis Riel. As a consequence, he was denied a position on Riel’s provisional council and was briefly imprisoned. Grant built a large home on NE 28-6-4w, similar to his Montana home. In addition to his cattle operation, he tilled the soil, raised the first wheat in the district and operated the first water-powered sawmill and shingle mill in the area. Having an Indian wife and Métis followers subjected Grant to the prejudice of the Protestant settlers who soon arrived to homestead in the Boyne area. 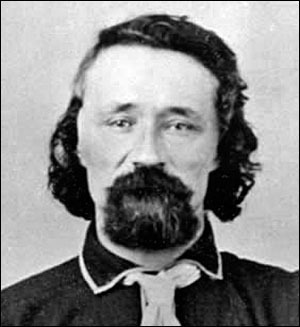 Animosity arose between the Ontario Orangemen such as Samuel Kennedy and local Métis over land claims and in reaction to the Riel insurrection. In reaction to this antagonism and possibly because of financial problems, Grant moved his family closer to St. Daniel. In 1891, he moved again to ranch north of Edmonton where he died in 1907. Well-known author and university professor Paul Hiebert retired to his wife’s birthplace in Carman, Manitoba. His home was designated as a municipal heritage site, later de-designated and demolished. A cairn on the site reads: “Dr. Paul Hiebert (1892–1987) was a chemistry professor who became a nationally recognized author. 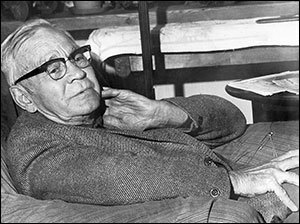 He won the Stephen Leacock Award for Humour in 1947 with his first book Sarah Binks, a Canadian bestseller. He wrote its sequel Willows Revisited in 1967. He was one of Canada’s major humorists with his tongue-in-cheek humour that satirized prairie life and social pretensions. Some of his other books included Tower in Siloam, Doubting Castle, and Not As the Scribes. He built his house on the site of this cairn in the 1930s, using it as a cottage until retirement, when it became his permanent home.” The house was later demolished and a cairn was placed on the site by the Carman/Dufferin Municipal Heritage Advisory Committee. Roblin was born in Sophiasburg, Ontario on 15 February 1853 and educated at Albert College (Belleville, Ontario). The school received its name from Bishop Albert Carman after whom the Town of Carman was later named. Roblin worked as a cheese buyer before moving to Winnipeg, then to Carman where he operated a general store from 1880 to 1886. An enterprising entrepreneur, Roblin and his brother-in-law bought the land on which Carman was built; the value of the property being assured when the railway was extended south form Barnsley. He opened a store on Main Street and became a grain buyer. His grain elevator, which became part of the Northern Elevator chain, was the first in the region. In 1890, Roblin acquired NE 24-6-4w and started an extensive agricultural venture. His farm home, “Maplewood”, became an agricultural showplace and the Roblin summer residence. It also established Roblin’s understanding and concern for farmers. This was enhanced by his work on draining the Boyne Marsh and promoting infrastructure development, including road and railway development. The site is now a Designated Municipal Heritage Site. Roblin was politically active locally and on the provincial scene. He served as Reeve of the RM of North Dufferin for three years, as well as serving as warden and school trustee. After unsuccessfully contesting Dufferin for the Liberal Party in 1886, he was elected as an Independent in 1888, then ran unsuccessfully as a Conservative for the Morden seat. In 1896 he was elected as Conservative member for Woodlands and party leader. He stepped down in 1898 in favour of Hugh John Macdonald; when Macdonald decided to run federally, Roblin again became party leader. 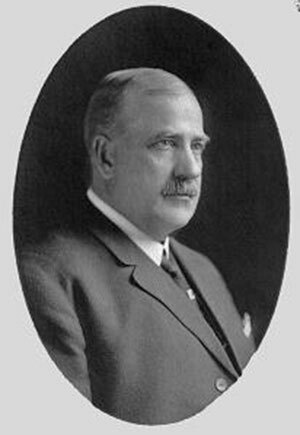 He was premier of Manitoba from 1900 to 1915 when he resigned over a corruption scandal involving construction of the Manitoba Legislative Building. His political beliefs were often controversial. He opposed the Manitoba Schools Act which provided for a system of non-denominational schools, on the grounds that politics had no place in education. He also opposed Prohibition and votes for women. During his tenure as Premier, Roblin promoted the grain trade by negotiating reduced rail tariffs, worked to break the CPR monopoly by encouraging railway construction, and introduced the first government-owned telephone system in North America. The boundaries of Manitoba were extended and public ownership of water rights established under his premiership. Roblin was knighted in 1912. After leaving politics, he operated an automobile dealership. In 1937, he died in Hot Springs, Arkansas. He is commemorated by Roblin Boulevard in Winnipeg, the Town of Roblin, and the Rural Municipality of Roblin. His grandson, Dufferin “Duff” Roblin, served as premier of Manitoba from 1958–1967; he carried on his grandfather’s drainage activities by building a Floodway (“Duff’s Ditch”) around Winnipeg. 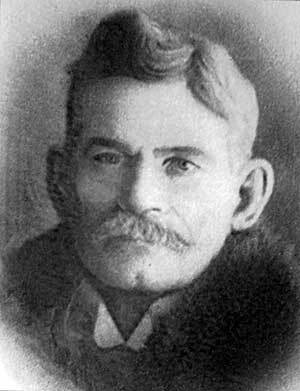 Sexsmith was born in Hastings County, Ontario on 30 March 1847, a son of Irish immigrants George Sexsmith and Mary Smily. He was a half-brother of Samuel Kennedy, the first Ontario settler in the Boyne area. In June 1872, he and his brother-in-law, Alex McCullough followed Kennedy to Manitoba and settled on W1/2 25-6-5w and W1/2 24-6-5w where W.H. Clendenning later located his mill. In 1875, George Sexsmith married Flora Field and they had sixteen children. Their oak log house was located between Salterville and Campbellville and was a stopping place for travellers as well as the site for school classes and church gatherings. The family home was restored by the Carman Dufferin Municipal Heritage Advisory Committee as a municipal heritage site and is a feature attraction at the Dufferin Historical Museum in Carman. Sexsmith was a councillor for the RM of Dufferin from its organization in 1891 to 1894. He also served as its Reeve from 1891 to 1894, and from 1900 to 1908. He was also a founding member of the local school board and a trustee for 23 years. He was a member of the Masons, Loyal Orange Lodge, Canadian Order of Foresters, and the Anglican church. George Sexsmith died at Carman on April 2, 1912.